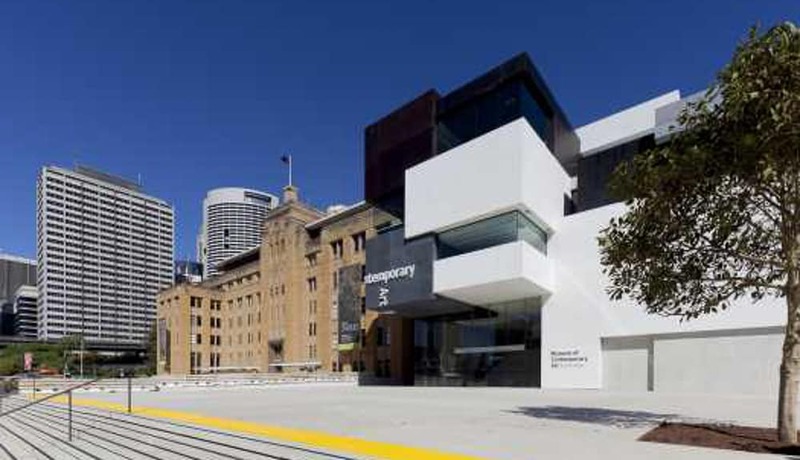 Have you taken your children to visit Sydney’s Museum of Contemporary Art recently? Did you know they have terrific programs for kids and families? We haven’t been for a while, so it’s on the radar for the next school holidays. Classic view of the MCA building at Circular Quay. 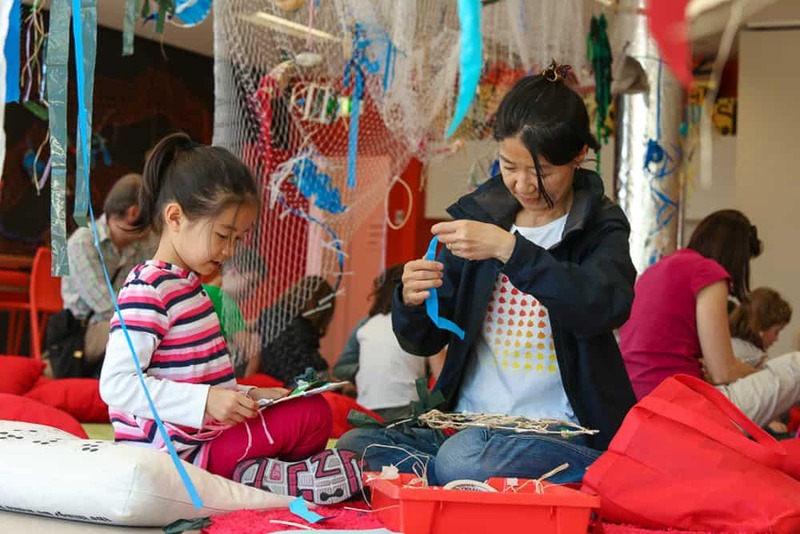 If you check out the Kids and Families section of the MCA website, you’ll be amazed at variety of family-friendly activities available. 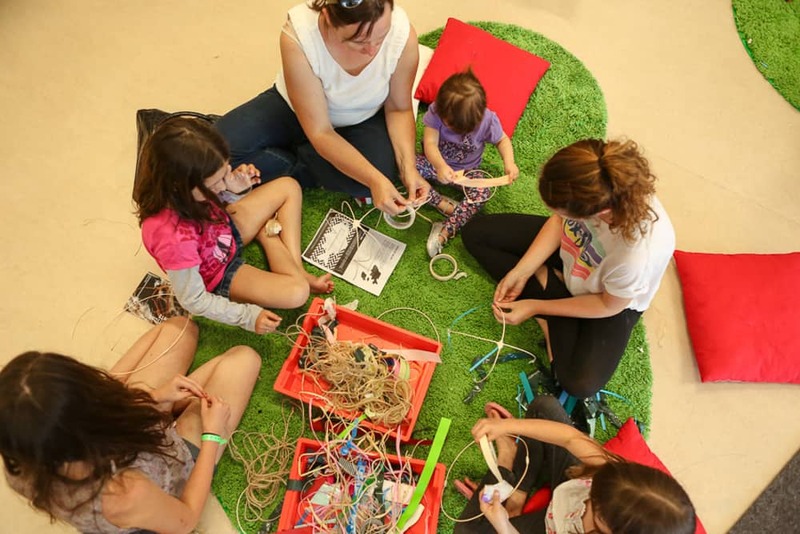 There are Art Play and Art Baby sessions, plus Art Safari programs. 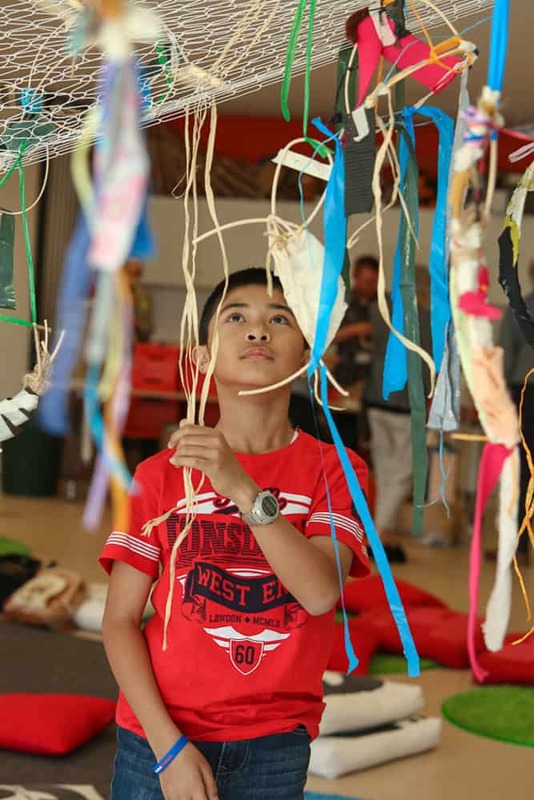 Most programs are for adults and children together but in school holidays there are some Junior Art School programs just for children aged eight – 12 years. Check the website for current programs and all details. Open: Daily 10am–5pm, open until 9pm on Thursday. Closed Christmas Day. 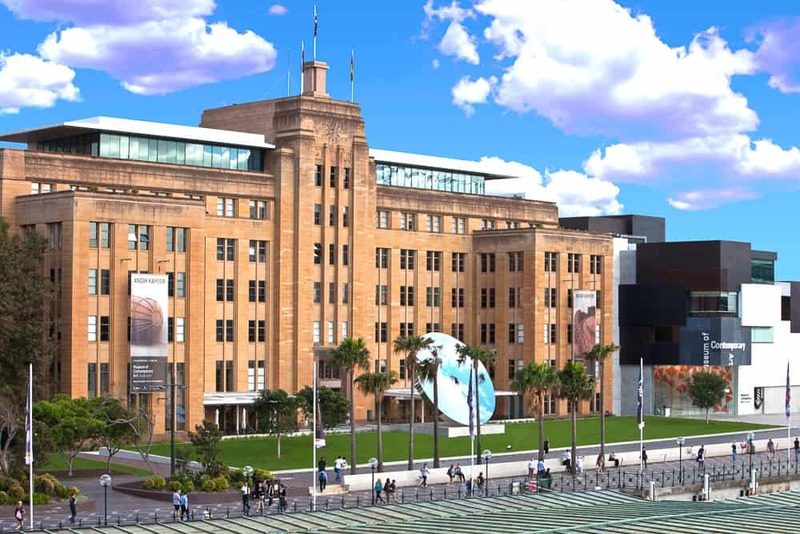 Housed in a splendid old building on Circular Quay, the museum has exhibitions of contemporary art in all its forms. Check the website or call to find out what the current exhibitions are. For art-loving adults it is an important and popular venue and one that presents no real problems for strollers. Cafe: The MCA Cafe on Level 4 is the most family-friendly eatery at the MCA. The MCA Restaurant on the ground level is more of an adult environment, although children are still made welcome. The Café does have a Kids menu and they also have high chairs. You just need to ask a waiter if you would like a high chair as they are tucked away a bit. Baby change: Baby change is on ground level and level 3. Strollers: There are shallow steps up to the main entrance on West Circular Quay. The entrance at 140 George Street has no steps. There are lifts to all levels. Mum’s report: The museum can work if you just want to take in one or two exhibits, especially those involving lots of colour. It’s great to watch your child’s unbiased and instinctive reaction to this type of art. 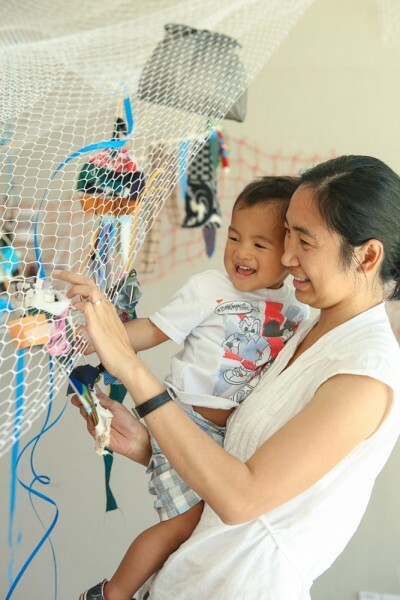 But you do have to be careful around installations that involve dangly, bright things, which can be just a little too interesting for young tots. Extra: See Circular Quay information here. Two of my four children are very keen artists, so we must get to the MCA again soon. I’d love to sit and enjoy the views from the cafe for a while as well myself. It really is in a wonderful spot. 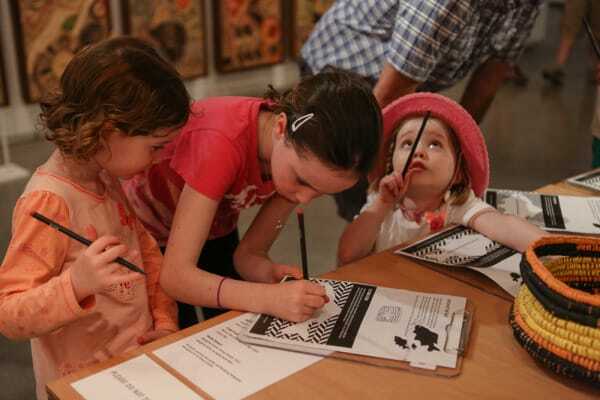 Do you take your children to art galleries? Can you recommend one to others? Have you been to the MCA recently? Many thanks to Susie Rugg for sending me the lovely photos of the MCA’s kids and families programs. Find more Sydney Museums on the Sydney.com website here. My daughter in particular would love that. I didn’t even know it existed. Thanks for the heads up. No trouble. Two of mine will really enjoy a visit, maybe this coming school holidays.